HIIT Workouts are all the rage from everyone at the local gyms to the professional athletes. Today’s HIIT Workout LEG BLASTER focusing on strengthening and toning your legs. The beauty of these workouts is that they can be done anywhere and everywhere, with little to no gym equipment. HIIT, stands for high-intensity interval training, it is a training technique in which you give all-out, one hundred percent effort through quick, intense bursts of exercise, followed by short, sometimes active, recovery periods. Get Recipe for Breakfast Stuffed Mushrooms. These exercises increases your metabolism meaning you burn more calories, lose more fat, and improve your cardiovascular fitness level in a short period of time. HIIT trains and conditions both your anaerobic and aerobic energy systems ensuring an all over body workout both cardiovascular and muscular. To get the benefits HIIT, you need to push yourself past the upper end of your aerobic zone and allow your body to replenish your anaerobic energy system during the recovery intervals. That means you work really really hard (harder than you want), but it is for short burst of time. You get a few minutes to recover, letting your heart rate drop a bit, and then you repeat. Remember your intervals involve maximum effort, not simply a higher heart rate. Before starting any HIIT program, you should be able to exercise for at least 20-30 minutes at 70-85% of your estimated maximum heart rate, without exhausting yourself or having problems. Because HIIT is physically demanding, it’s important to gradually build up your training program so that you don’t overdo it. I offer a few variations of certain exercise based on where you are in your fitness level. If you are new to this, and you need more than 2 minutes of rest in between sets, by all means take more, but don’t wait to long (no more than 4 minutes) because the working sets will be harder on you the lower you let your heart rate drop. Please let me know what you think of the workout, I would love to hear from you. Week 3 focuses on your core. You need a strong core to help you throughout your daily life and with your other workouts. A strong core helps with balance which is essential to proper form and gaining strength. 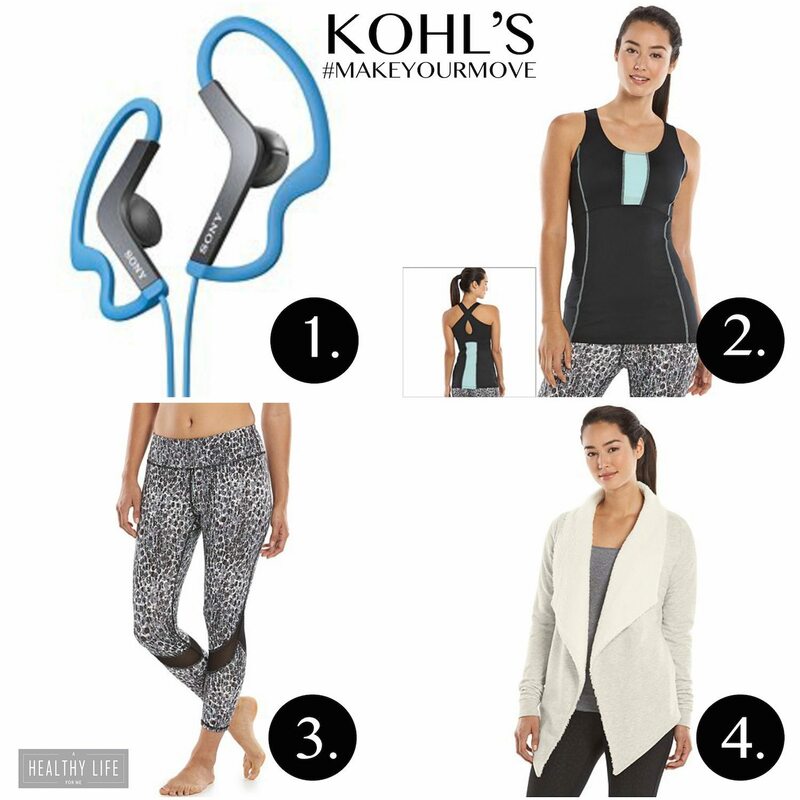 Here is a list of the gear that I picked up at Kohl’s so I could rock this workout. So many burpees!! This looks like an awesome way to break a sweat and make my legs feel weak and tired. 🙂 Love it! I know burpees…urghhh, but they do the job! 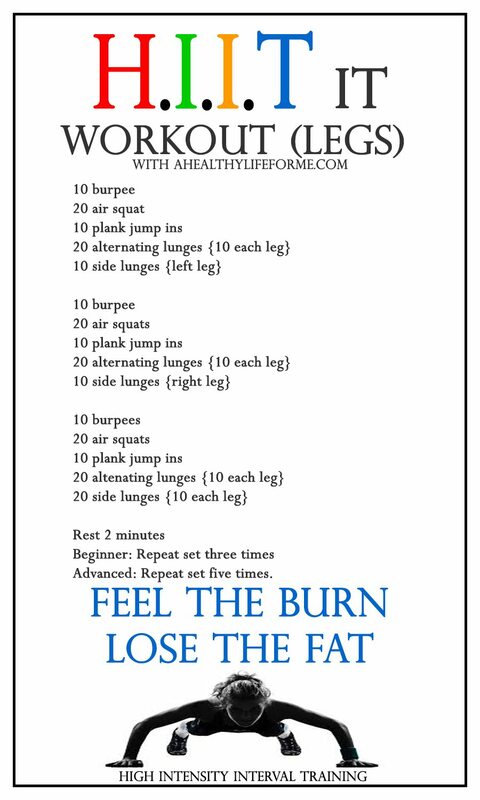 This looks like a great workout and definitely one that I could take on the road with me this holiday season!